mnemonic, noun: a short rhyme, phrase, or other mental technique for making information easier to memorize [from Greek mnēmonikos, "relating to memory"]. Med Mnemonics is a unique learning tool with over 1900 of them. Mnemonics got me through medical school and the USLME steps. 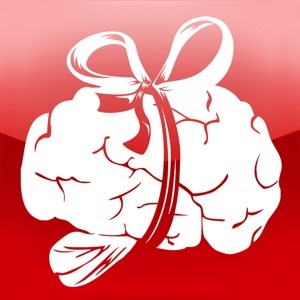 Wherever you are within the allied health professions - medical school, nursing school, NP school, PA school, residency, and beyond - you can improve your knowledge base in the short and long term with these key associative memory aids. 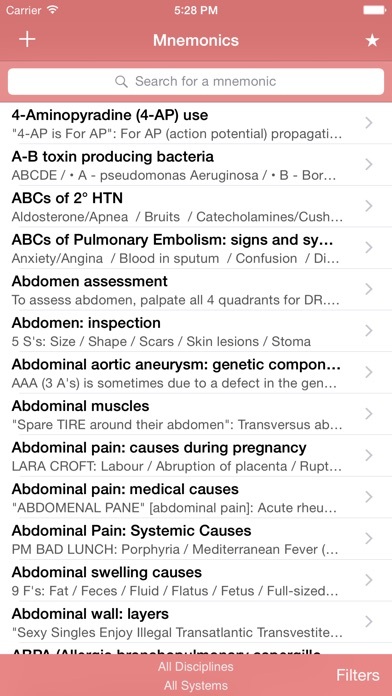 Medical Mnemonics puts 1796 clever acronyms, rhymes, and memory tricks on your iPhone or iPod Touch, covering topics ranging from Anatomy and Biochemistry to Pharmacology and Surgery. The database is fully searchable and can be quickly filtered by discipline and by system. Create a Favorites list, and search and filter it similarly. The best mnemonics can be those you make yourself. Add your own mnemonics to the database, where they'll appear seamlessly alongside those which come with the program. 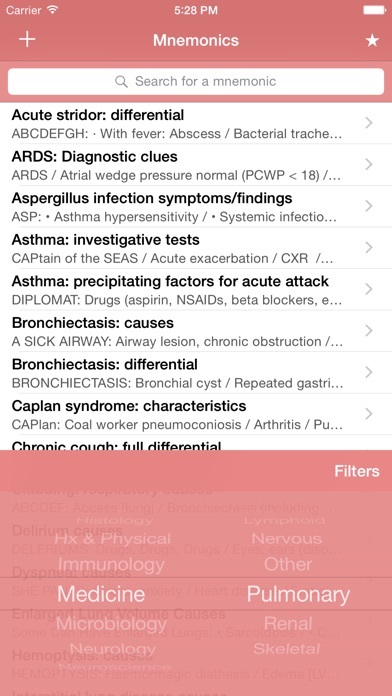 Submit them instantaneously to the Medical Mnemonics server for review by an MD (that's me!) and inclusion in the next version. 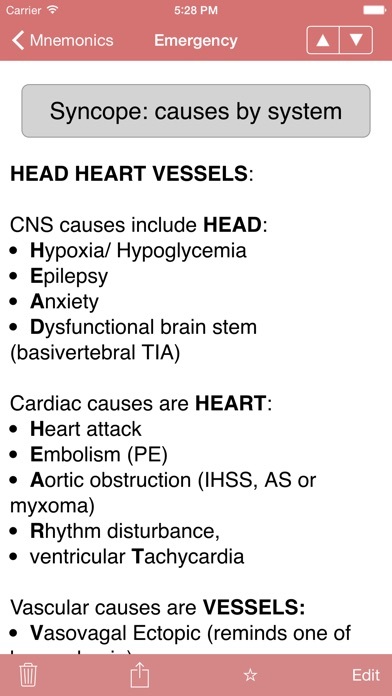 You can email any mnemonic to a colleague from within Medical Mnemonics. 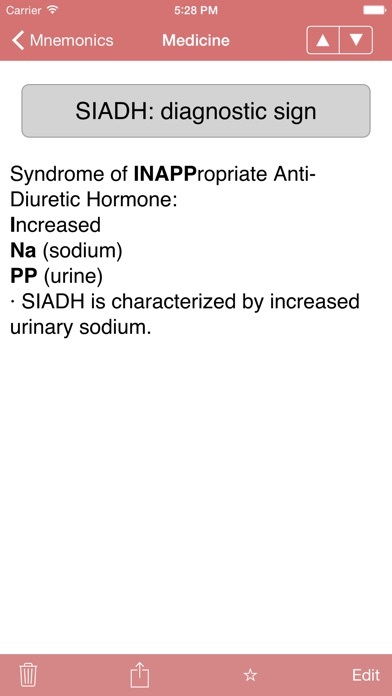 He or she can view it within the email or add it to their own copy of Medical Mnemonics with a single click. 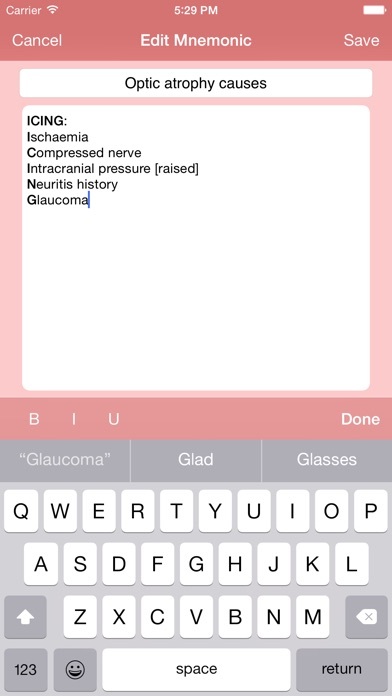 Updates will be free for life and will include new mnemonics submitted by users (that's you!) and added as we all continue learning together. Every mnemonic is physician-reviewed, but we're only human. If you find a mistake, email us; we will pay a $5 bounty per substantive mistake found to the first reporter of that mistake!